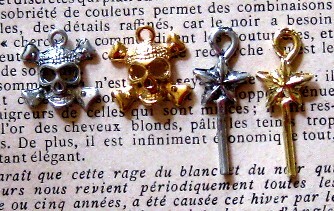 Pewter Charms! Click on the photos to enlarge! 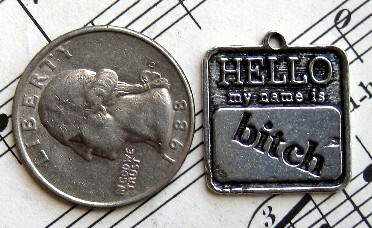 You'll love these high quality pewter charms manufactured in the USA! Many of these charms are double-sided. 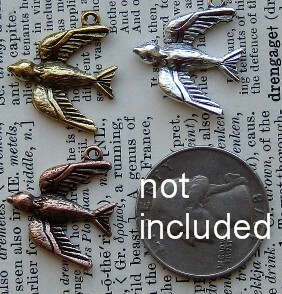 These charms are perfect for your jewelry projects as well as your papercrafting projects! ALL styles are in a limited supply. The fairy wand charms are a bit rough or distressed. Frida and Cemetery Gate Silver Pewter Charms; both 0.5" across; Price $0.50 each. Coin not included.